May bank holiday weekend was a busy period for Lough Ree RNLI, who were called out on two occasions to aid vessels that had encountered difficulties. Lough Ree RNLI lifeboat crew were alerted by the Coast Guard on Saturday, April 29, just before 10am when a 56-foot barge with three people on board ran hard aground on rocks close to Blackwood Point at the northern end of Lough Ree. Shore crew Tony Diskin, Matt Harte, Billy Henshaw, and Dennis Buckley responded quickly and got Lough Ree lifeboat ‘The Eric Rouse’ launched in less than 10 minutes with first responders Kieron Sloyan, Kieran Scullion, and Liam Sherringham on board. A short time later, the lifeboat crew was alongside the casualty vessel. After checking that the vessel was not taking on water, a tow line was established and the vessel was safely towed to deeper navigable water. Lifeboat crew member Kieran Scullion remained aboard the barge to check that all systems were operating normally and to assist with navigation on the journey north to Lanesborough quay, accompanied by the lifeboat. Upon arrival at Lanesborough, the crew ensured that the barge was securely berthed before departing the scene. 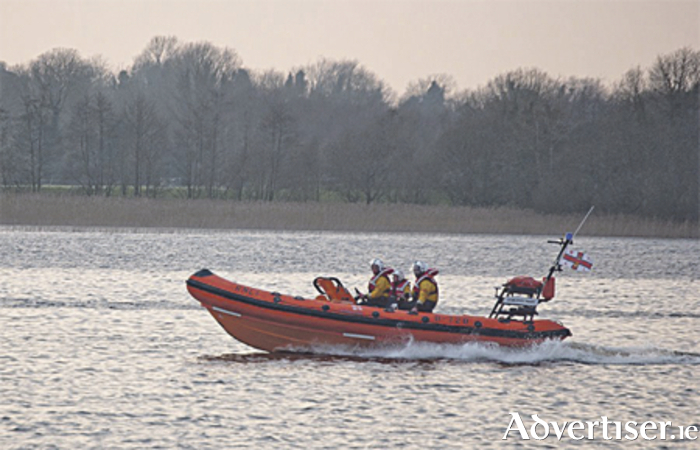 Then on Sunday morning, April 30, Lough Ree RNLI was alerted by the Coast Guard when a 37ft motor cruiser with seven people on board was blown onto a mud bank in the Shannon river channel north of Athlone motorway bridge. The Eric Rowse was launched, crewed by Rachel McHugh, Stan Bradbury, and Robert West, and was alongside the casualty vessel within 20 minutes of receiving the 8.26am alert. The lifeboat crew checked that all on board were uninjured and wearing lifejackets, and that the vessel was not taking on water. They then established a tow line and pulled the vessel off the mud bank. After re-floating the cruiser, the lifeboat crew checked that the vessel’s equipment was functioning normally before departing the scene. Page generated in 0.0888 seconds.